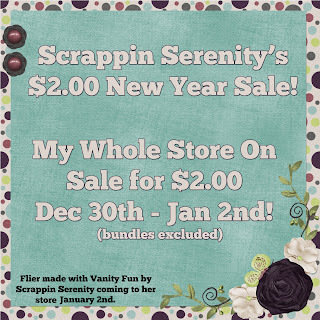 Before we get to my part of the blog train…I just wanted to remind you that everything in my store is on sale for $2 to celebrate the coming new year! This entry was posted in Uncategorized on December 31, 2011 by christiedawn. 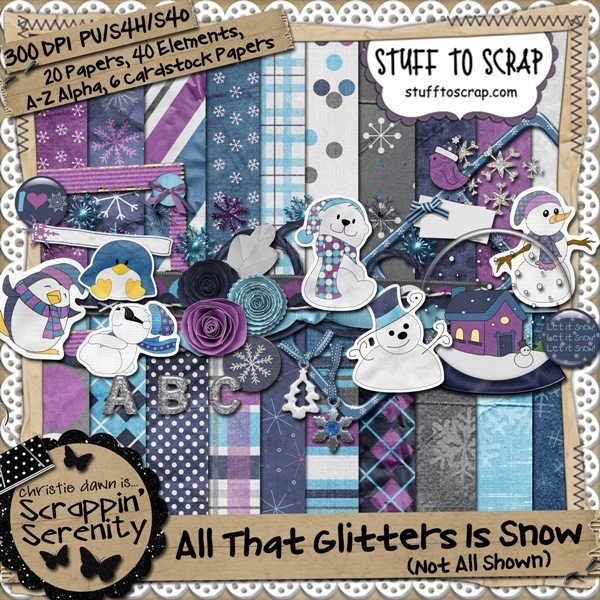 New Years Sale & a Freebie!! It’s almost time to ring in a new year!! And with that comes a sale! This entry was posted in Uncategorized on December 29, 2011 by christiedawn. Here’s what I have in the bin today! 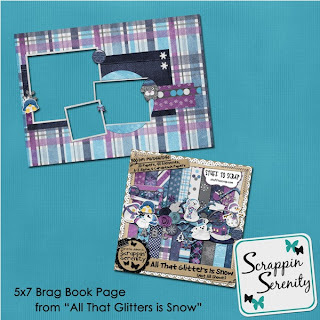 Need to scrap your pictures in a hurry…then pick up the All That Glitters Snow Quick Pages! Do you want a personalized Calendar for the new year? 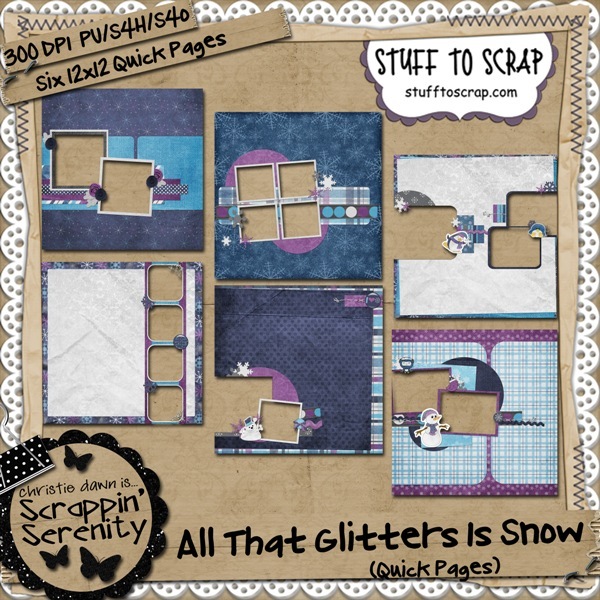 Then pick up Scrappin Sereniy’s 8.5×11 Quick Page Calendar Set….or if you want it in a smaller verson pick up the 5×7 Quick Page Calendar Set! These calendars will be retiring at the end of January! This entry was posted in Uncategorized on December 26, 2011 by christiedawn. 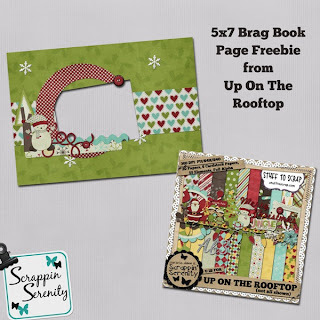 Christmas Sale & A Freebie! I know it’s Friday..which makes it Fantastic Friday this month! But since Christmas Falls this weekend….I’m expanding Fantastic Friday into a weekend long Christmas Sale!! Click the flier to go shopping!! This entry was posted in Uncategorized on December 23, 2011 by christiedawn. 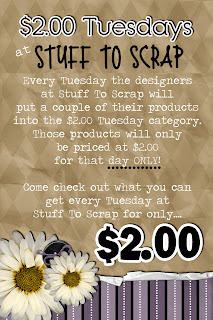 It’s $2 Tuesday!! 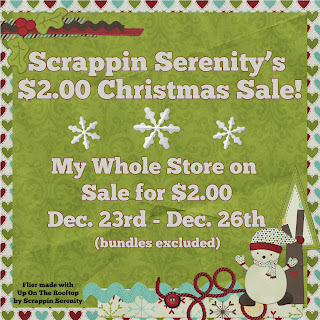 I had a hard time trying to decide what to put in the bin….So I put two of my Christmas Kits in the bin…but I also put all things “Christmas” in my store on sale for $2 too for today only! 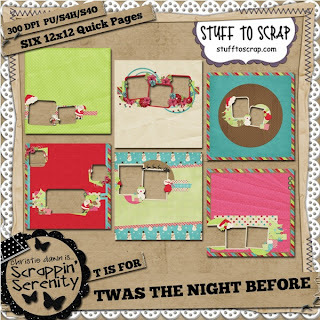 Twas The Night Before by Scrappin Serenity is based off that classic Christmas book, The Night Before Christmas. This kit if is filled with all things that happen the night before Christmas; from hanging the stockings on the fireplace, to setting out cookies and milk for Santa, and getting the sleepy kids into bed! 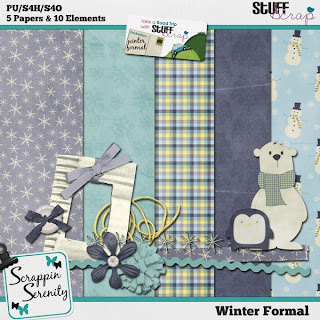 Do You have too many pictures to scrap and not enough time to scrap those Christmas pictures? 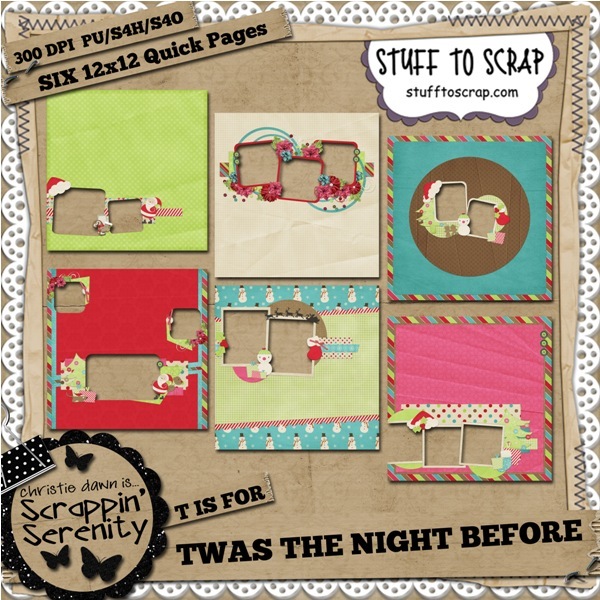 Then pick up Scrappin Serenity’s Twas The Night Before Quick Page Set. Are you looking for the ultimate Christmas kit? Then look no further. 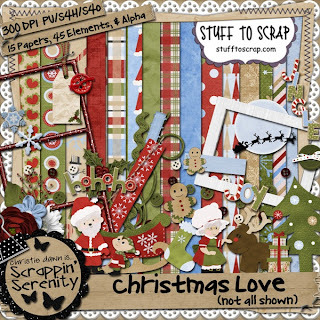 Christmas Love by Scrappin Serenity has from Stockings to Snowflakes to Santa and his Elf! It’s the perfect kit to make your Christmas cards with, gift tags with, and scrap those special Holiday moments! Need to Scrap your Christmas pictures in a hurry?! 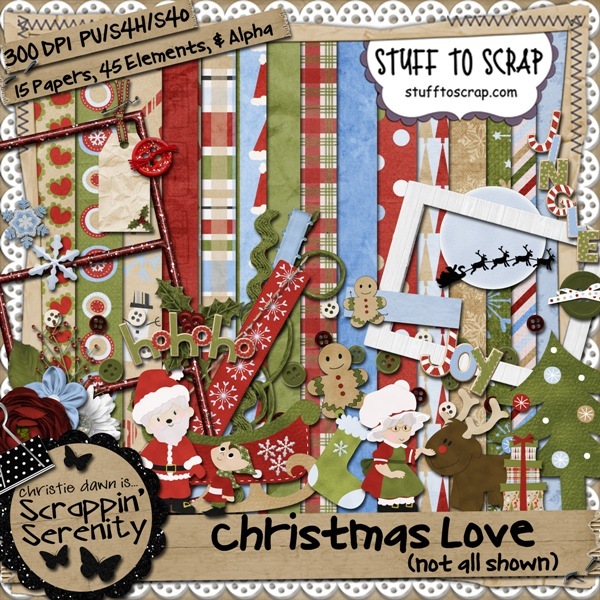 Grab Scrappin Serenity’s Christmas Love Quick Page Set! Your Quick Page Freebie today was made using a template by MDK Scraps! Her Templates are SO cute! This entry was posted in Uncategorized on December 19, 2011 by christiedawn.